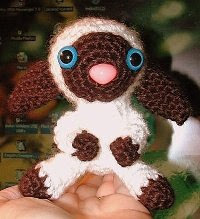 He looks JUST LIKE Lamb Chop -- how cute! Found you through your comment on No Time for Flashcards, and so glad I stopped by. I love crochet/knitting, and will be back often!